I know you’ve been wondering how to send ants through the mail — something our underfunded education system never taught you how to do! 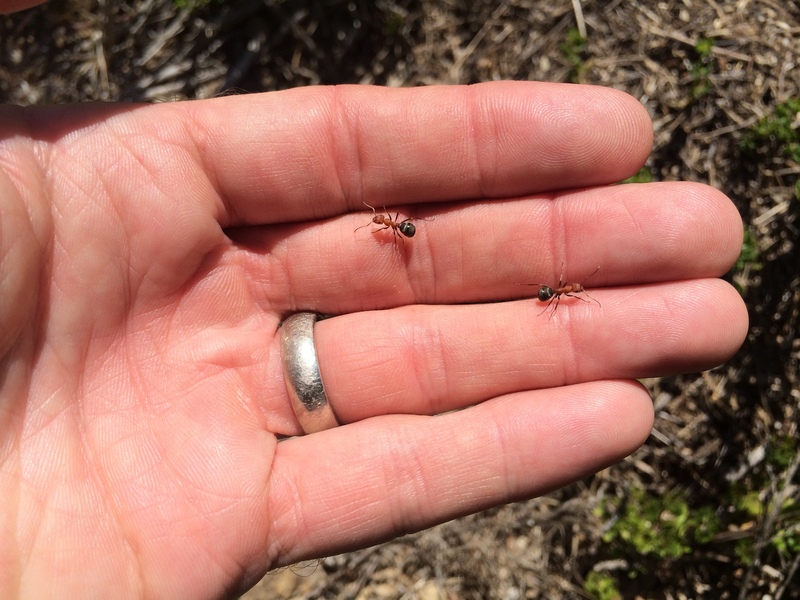 Kieran and I recently collected some tiny, stinging ants in a dry creek bed on Mt. Diablo. We brought a few workers home and studied them under our microscope, but even with the help of a heavy pile of ant books, we weren’t sure what we’d got. 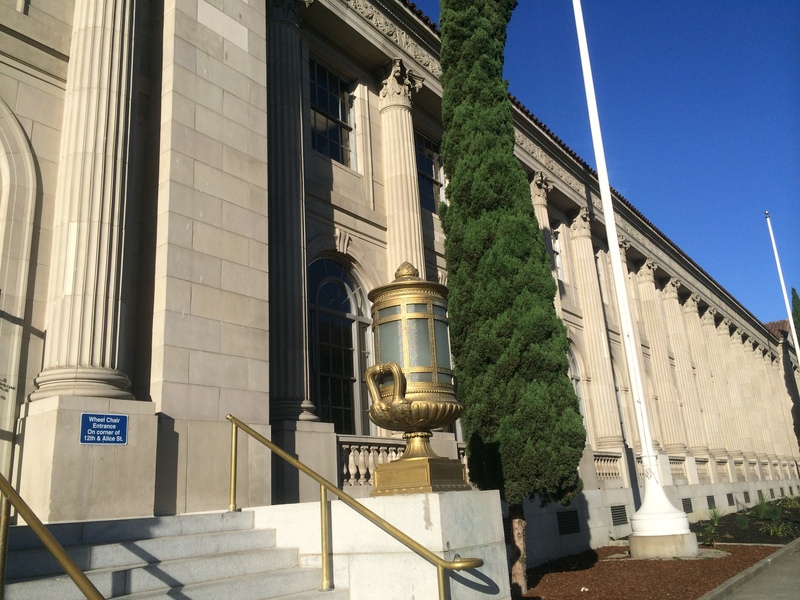 So we contacted the California Academy of Sciences. Dr. Fisher of the Academy suggested we mail him the ants so he can check them out under serious magnification and with serious expert experience. So, how do you mail ants? First, if they ain’t dead yet (or only “mostly dead” — and they are tough and do keep wiggling for some time after they die; in the late 1890s A.M. Fielde kept a carpenter ant worker alive for 41 days after its head was cut off! It kept walking around for 39 of those days!) you pop ’em in the freezer. 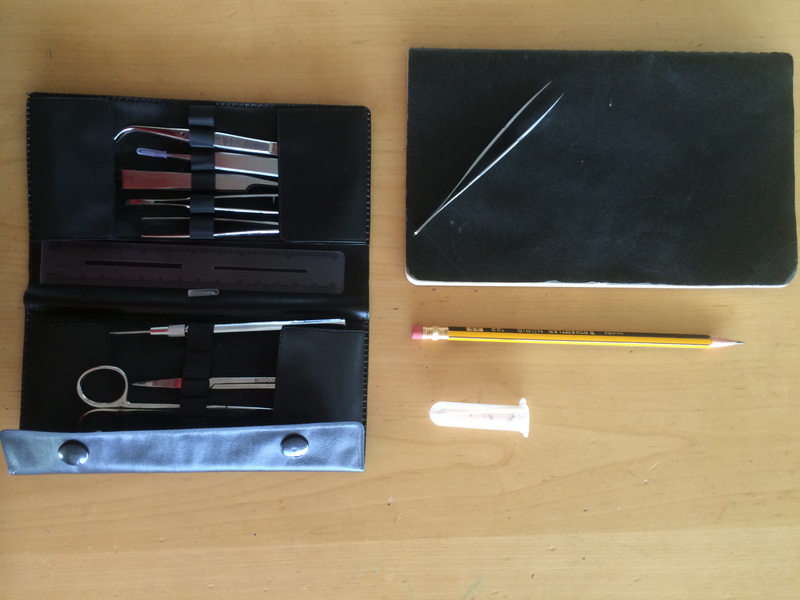 Then you take your little tube of them and find an envelope they’ll fit in. 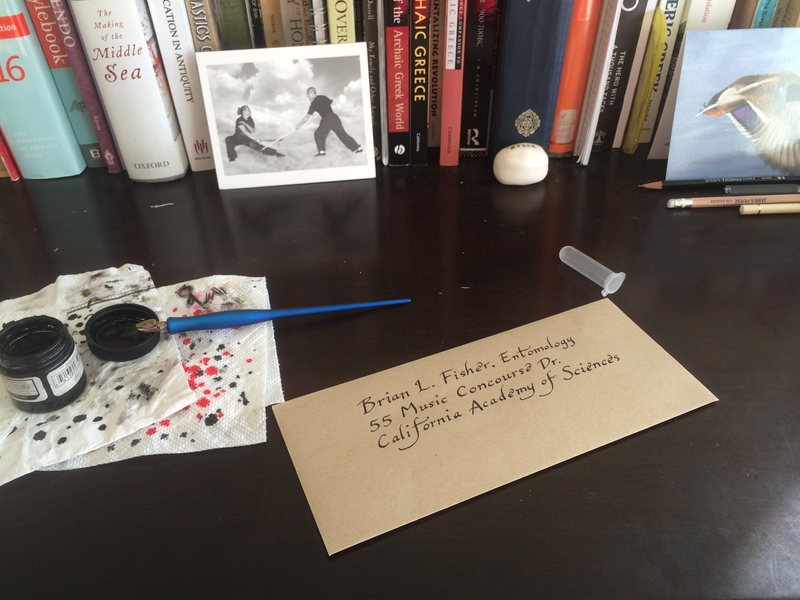 Include whatever letters or diagrams you choose, address it to the helpful scientist you’ve contacted, and get down to the post office. Extra postage will be required! 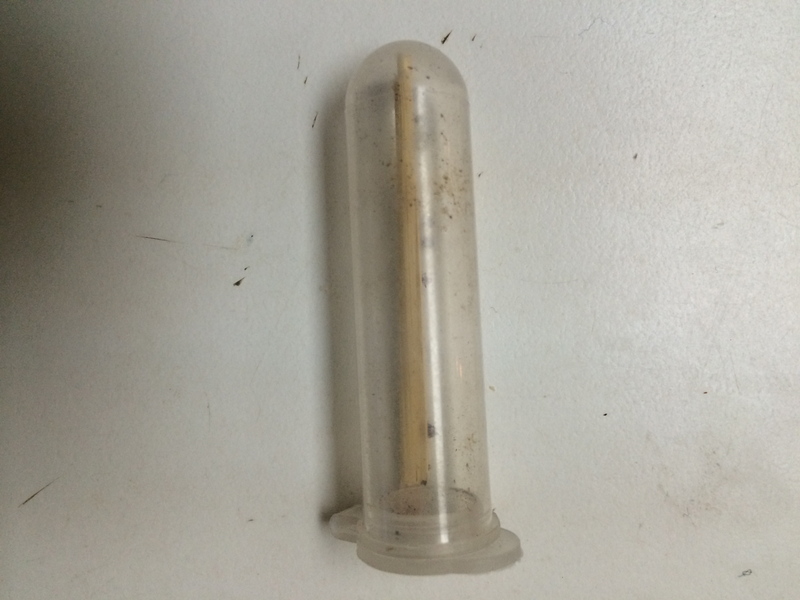 A small plastic tube with a snap closed lid is perfect for mailing. Gather what information you can. 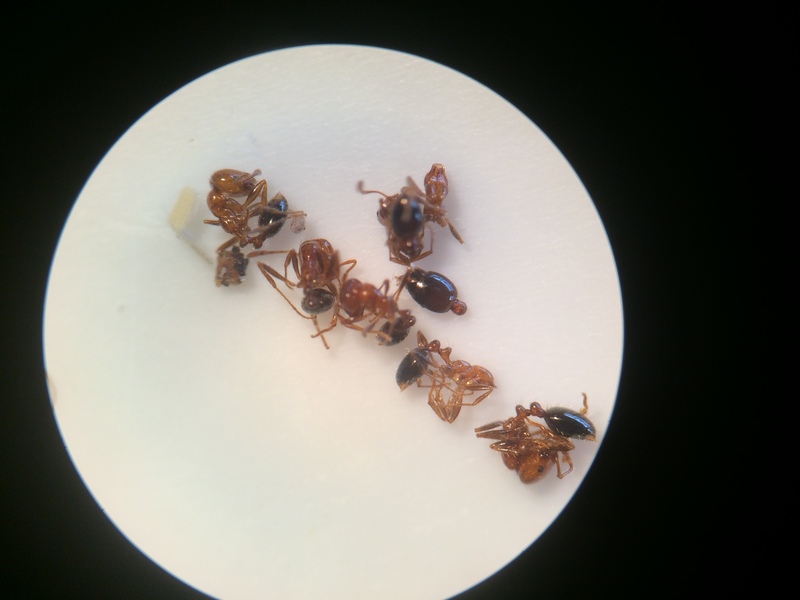 A dissection kit is helpful, though these particular ants were so tiny they were tough to manipulate under the microscope even with fine tools. 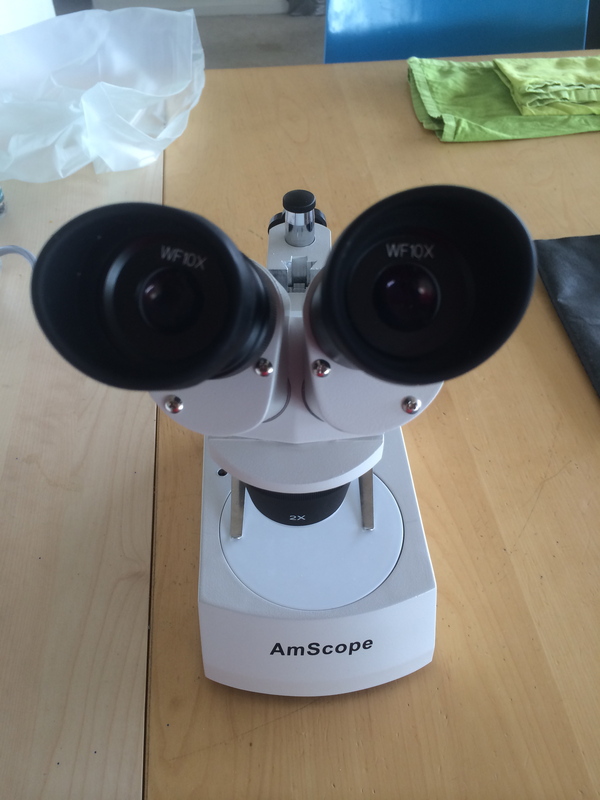 Our microscope, a binocular dissection instrument, is not good enough to see tiny details on tiny ants! 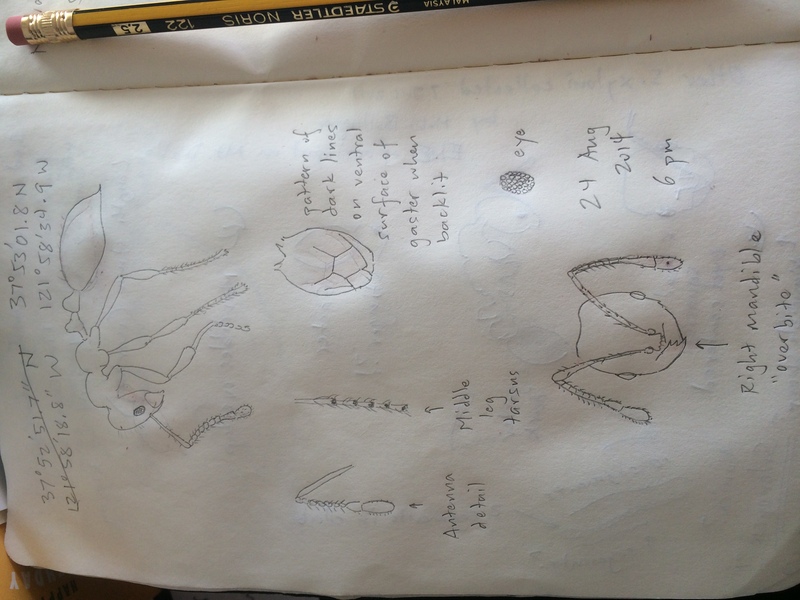 I made a second, more detailed set of sketches using the scope. I took a couple photos using my iPhone camera through the eyepiece of the microscope. Here they are under 10 power lenses. Kieran’s fire ants under 20 power magnification. 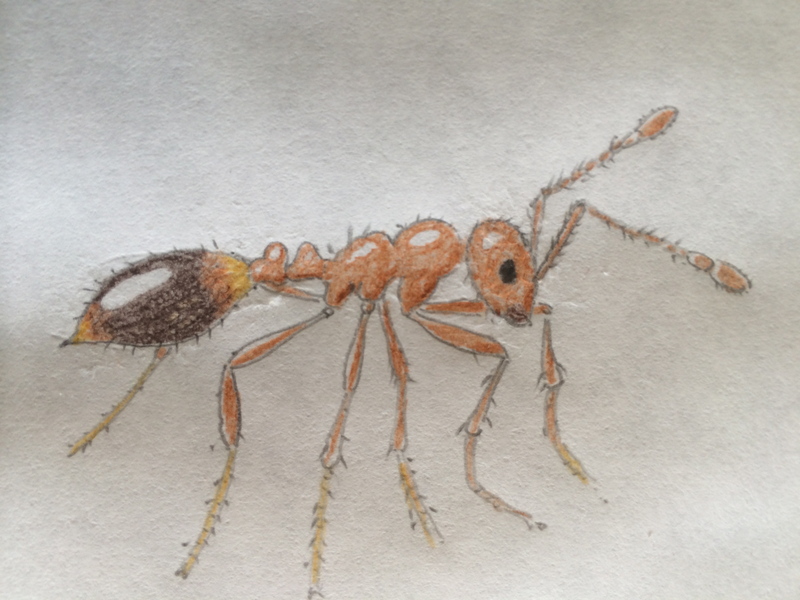 A colored illustration I made of one ant. 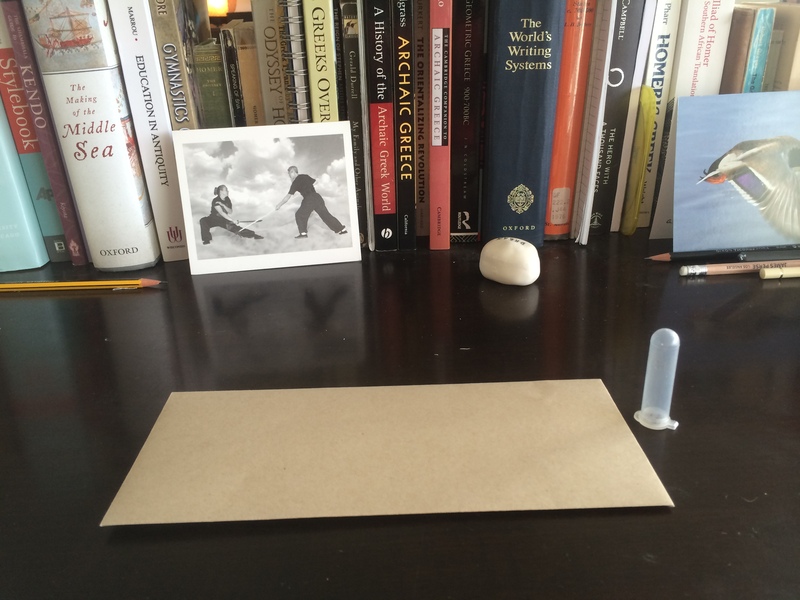 Find an envelope to hold the tube and whatever else you’re sending. Head to your local post office, because it will take a bit of extra postage. Then get back out in the field and find some new ants to study! 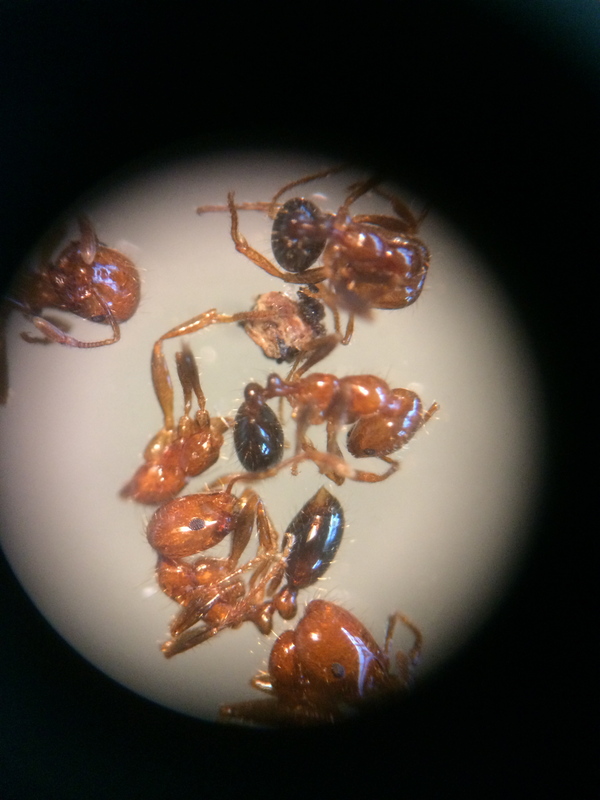 These are some species of Formica, I think, from San Bruno.